Here I am ready for my little overseas jaunt. Where are you off to I hear you ask? London, Venice and New York. Life was meant to be lived in the air. So the time has come for me to go and I race out of my apartment to meet the Qantas chauffeur, a friendly kinda guy, who helps with my bags and starts telling me about the antics of his more eccentric clients. I thought I was quite out there, but anyway, accusing others of being insane is kinda like throwing stones while living in a glass house. So let’s just stop it there. We arrive at the airport, unfortunately I am stuck on conference call which somewhat delays my check in, but I finallymake it through the usual scans and queues which add that unfortunate inconvenience to air travel to enter into my home. 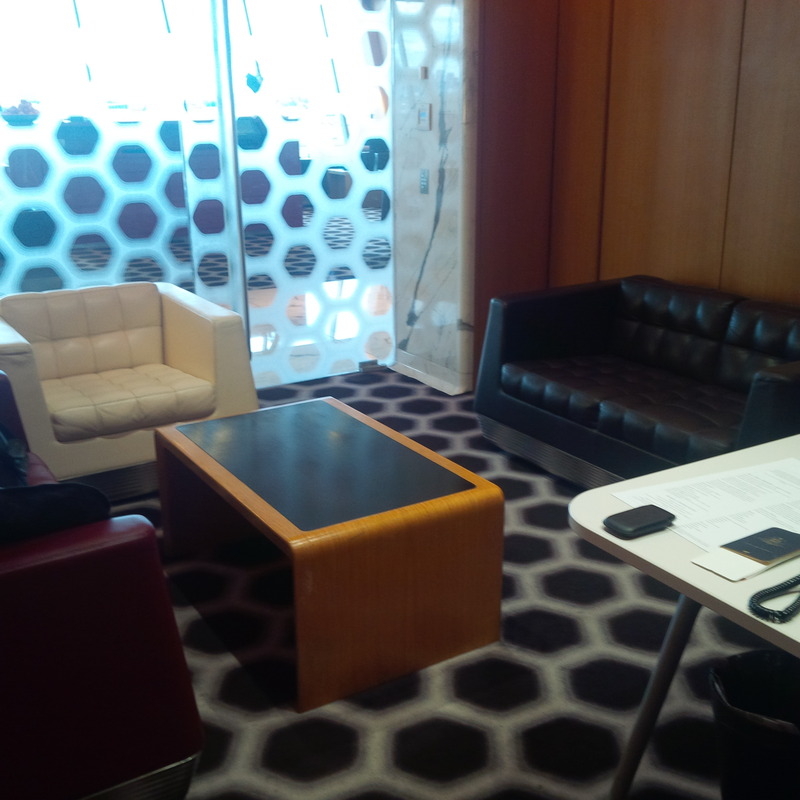 I call the Qantas First Lounge, my home, not my home away from home, but my home. When somethings gives you a sense of belonging, it is more than bricks and mortar its definitely a home. I head into the my usual room in the lounge, while taking a moment to gaze aimlessly at the breathtaking beauty of the airport runway –there ain’t no sight like it in all the world! I sit down at my desk and order from the Neil Perry Rockpool inspired menu. I steer clear of my usual favourites… yes routine is important in life, but as the old saying goes, your customers are changing, the world is changing if you do not change you will be left behind. I decide to apply this little adage in my selection for lunch. Neil has been trying to weave his Spice Temple restaurant favourities into the First Lounge menu, so I decide to make to experiment. I start with the Lamb and cumin pancakes pickled vegetables and dark chili paste. 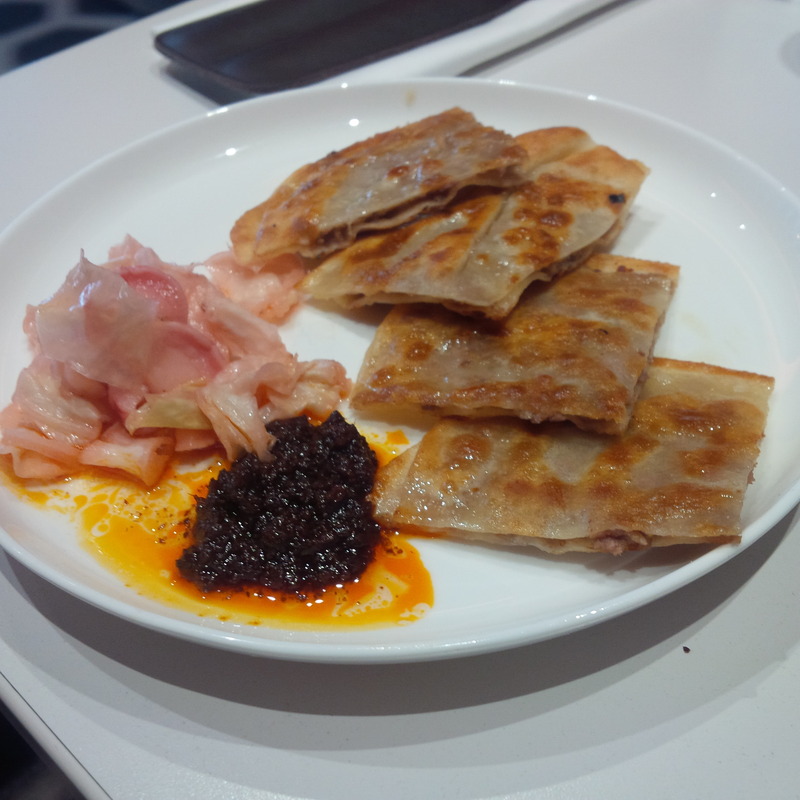 Tender juicy pieces of lamb, in between soft napkin textured pancakes with spice of the chili paste to match. I am simply lost for words (which for those of you who have heard my regular political rants know this quite a rarity). I pair it with a glass of Wolf Blass Single Vineyard Cabernet Sauvignon and it is one culinary moment which will change life. I then rock back in my chair as the waitress brings in the next course. 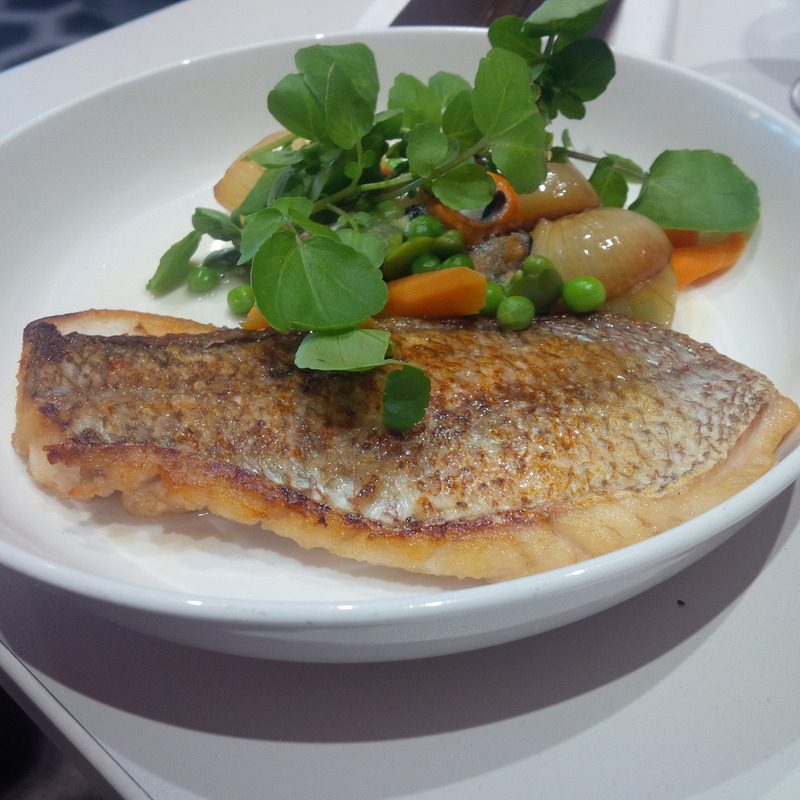 The pan fried snapper with spring vegetables and mussel veloute. Beautifully plated, clearly fresh with a right texture. The soft flaky meat held together by the firm crisp fried skin. I am sorry to all my artistic friends who love Da Vinci but the Mona Lisa is no masterpiece, this dish is a masterpiece. To pair, I choose no other than the Delamotte. Velvety and smooth, almost like a silk scarf being rubbed on your tongue. Seriously, the Spring Menu can’t be beat! I continue to sort out my travel plans, then I realise that my spa treatment is due. 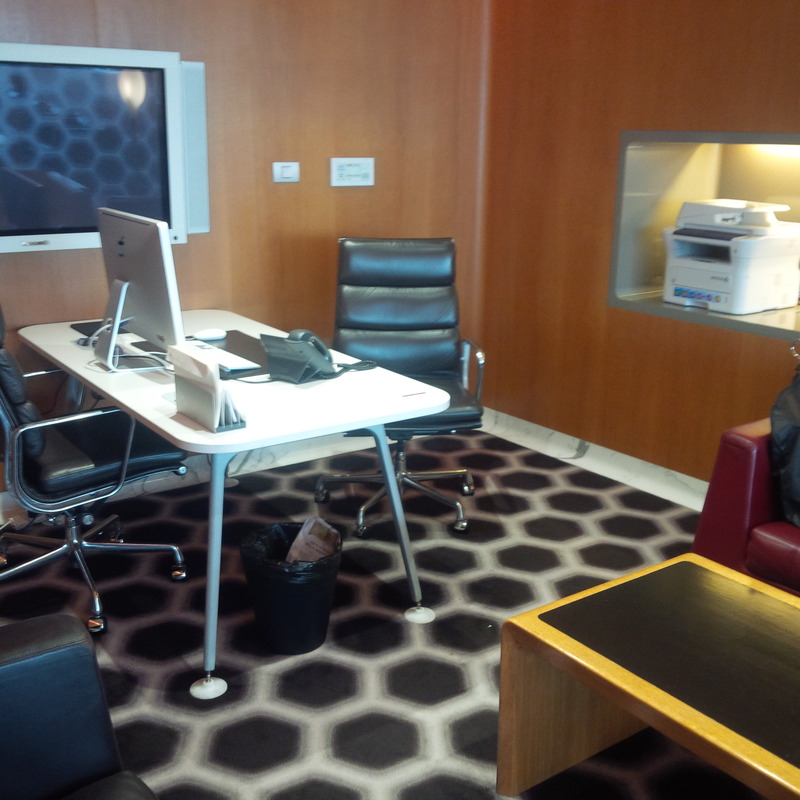 I pack-up my bags and leave them in the room and race off to attend my spa booking. 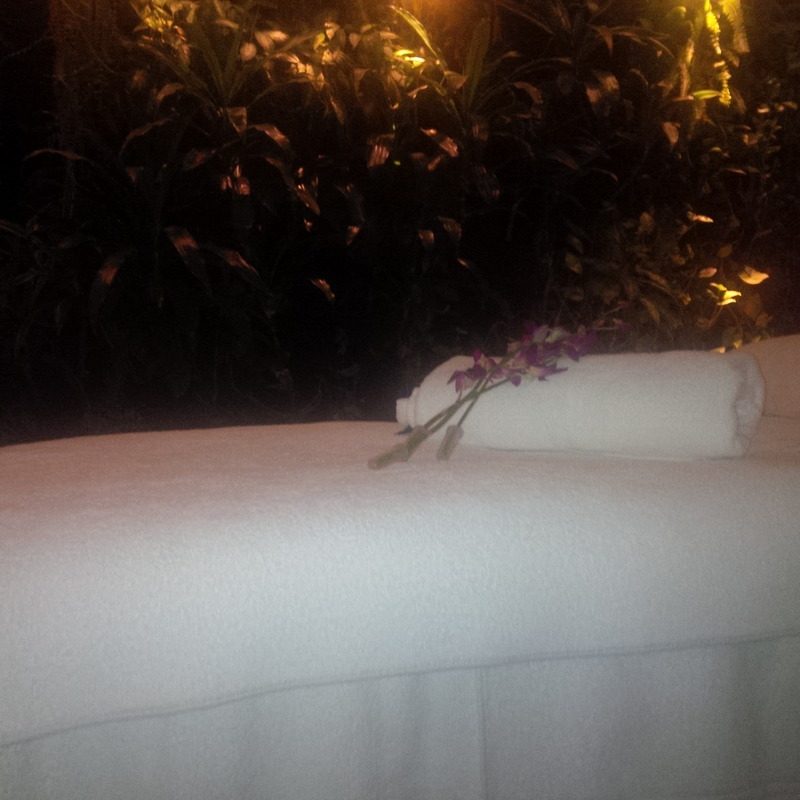 I am placed in the very able care of Jana for a back massage. The soft music and beautiful incense percolate the room. I am not normally completely relaxed, but this is as close as I am going to get there. I kinda drift off into a deep sleep, feeling the soft hands relaxing my tendons. Those seemingly stressed joints commence sipping pina coldas on a remote island retreat. You get the idea right? I feel as relaxed as ever. 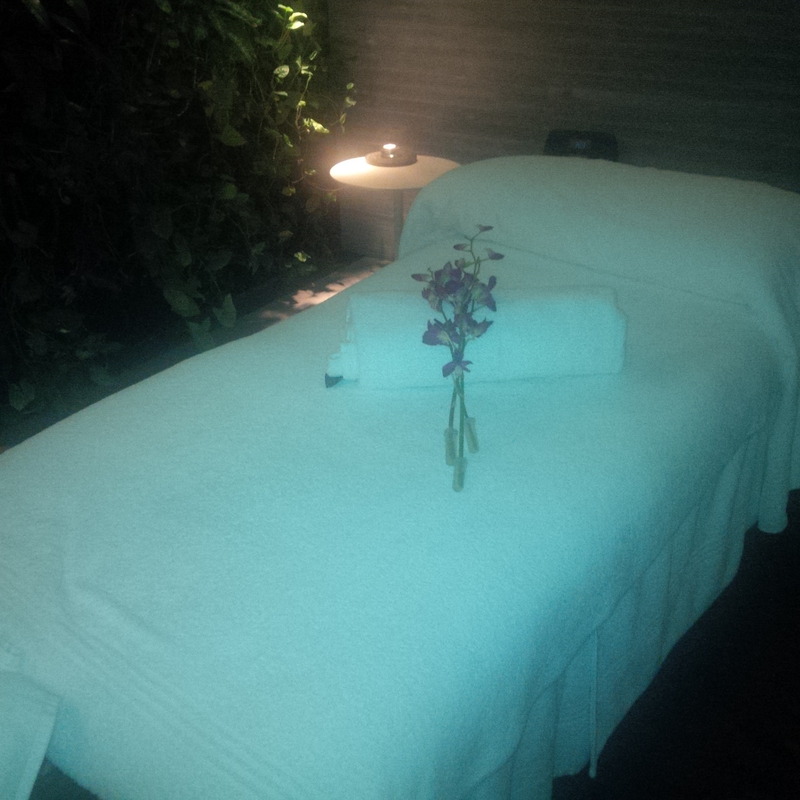 I leave the spa and then I hear my boarding call…. 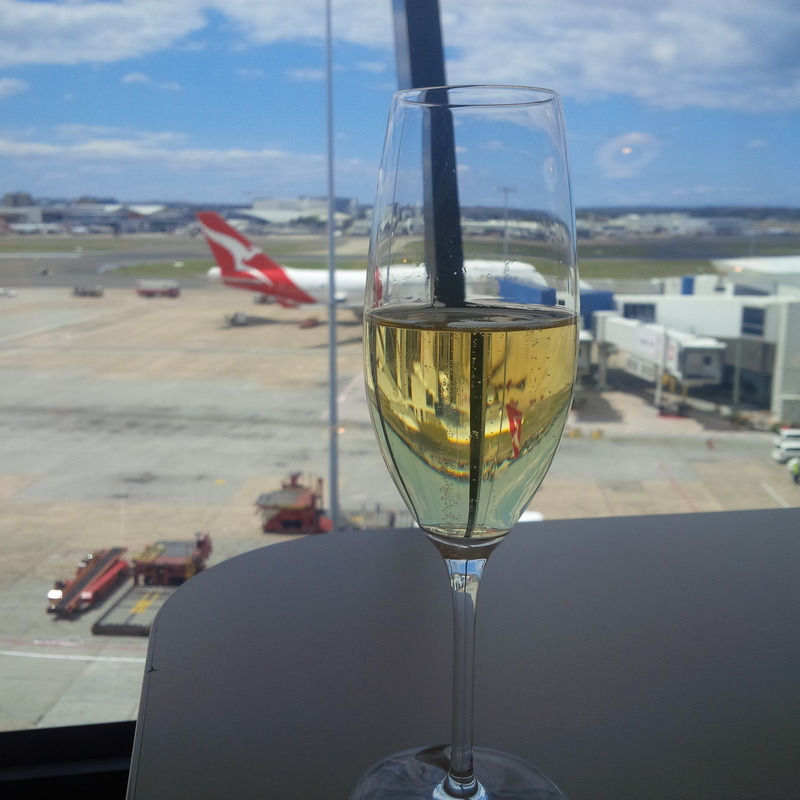 I race back to my room to upload this loverly memoir and race straight for the departure gate.